How far are we away from a completely vindictive, murderous madness like The Terror of revolutionary France? I know, no one is talking of guillotines. Well, almost no one. I’ve seen a certain cartoon poster from Seattle that features a guillotine and the severed head of Jeff Bezos, with the defiant tagline from Karl Marx, “WHEN IT’S OUR TURN… WE WILL MAKE NO EXCUSES FOR THE TERROR.” Not comforting. And what is the gripe against Bezos? Apparently, the socialists in Seattle do not appreciate Bezos’s resistance to Seattle’s politicians’ targeting of Amazon for special taxes. 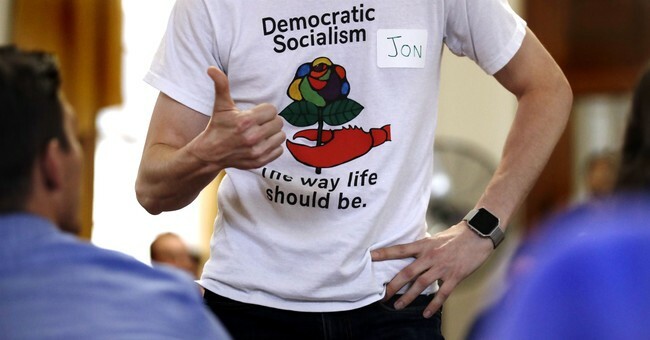 Socialists sure love taxing “the rich.” And bullying businessmen. Of course, most advocates of Terror today shy away from calling it The Terror. But they sure seem determined to destroy others’ lives publicly. We are all too familiar with Twitterstorms where worked-up outrage forces someone out of a job or a deal — usually for making jokes. But it’s not just jokes. Not long ago a mid-level actor got in trouble for Tweeting that commentator and Daily Wire host Ben Shapiro seemed a nice, honest person on the right that a leftist might listen to. The actor was forced to recant, and then Shapiro himself publicly recanted from some past putatively “dumb” things he “did” or “said.” Or something. All these recantations remind me of my history books and the Inquisition. If not The Terror itself. Since we’re talking about Mr. Shapiro, his commentary on the Sarah Jeong case is not irrelevant. The New York Times hired Ms. Jeong despite her past racist tweets. But the Times is keeping her. Shapiro finds this “indicative” of more than just the Times. The left at large seems OK with anti-white racism but not anti-any-other-race. It’s indicative of a lot more, though, not just racism and anti-racism and anti-anti-racism. It is indicative of the destructive nature of The Left’s adoration of big government. I would much prefer thinking of leftist activism as heroically standing up to power, to racist power and warmongering power and all that. But, increasingly, engaging in street violence (in Berkeley and Portland and elsewhere, as instigated by BAMN and antifa), shout-down speech suppression (colleges everywhere), and violent imagery (posters and videos and open threats and raised fists and chanted calls for cop killing) the idea of Gandhi-esque non-violence is increasingly old hat. And even this never-ending litany of grievances against wrong-think comics and commentators, with multiple de-platformings and demanded firings, is awfully mean. It assumes that the way to get ahead is to destroy the enemy, er, opponent. Not reason with him. And this means that the far left now looks every bit as nuts as the far right. And to seem as nuts as the far right is quite an accomplishment — if not one to boast of. Listen, protesters of all directions and colors: outrage and the Twittermob may be fun. But it’s time to stop. Is the Times leading the way by defending Ms. Jeong? Only when the decrepit old gray rag defends someone not on its own ideological side will it take up the banner of peace. Transcending partisan mob mania means first transcending partisanship. And then — and only then — can we return to debate and stop the current slide into violent, uncivil war. It is indeed possible to lead a country into madness and mass murder. The French Revolution, and the Russian and Chinese revolutions after it, showed how dangerous this can get. Hey, don’t guillotine me, bro!